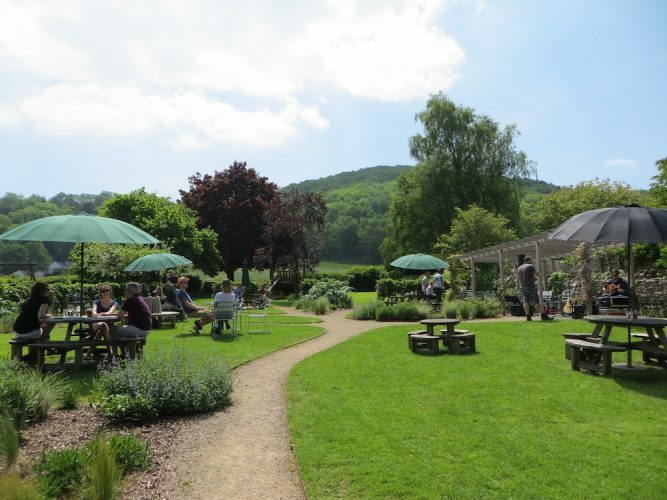 For the inside line on Somerset’s stylish pubs, cool getaways and hot new events, and to save your favourite features. 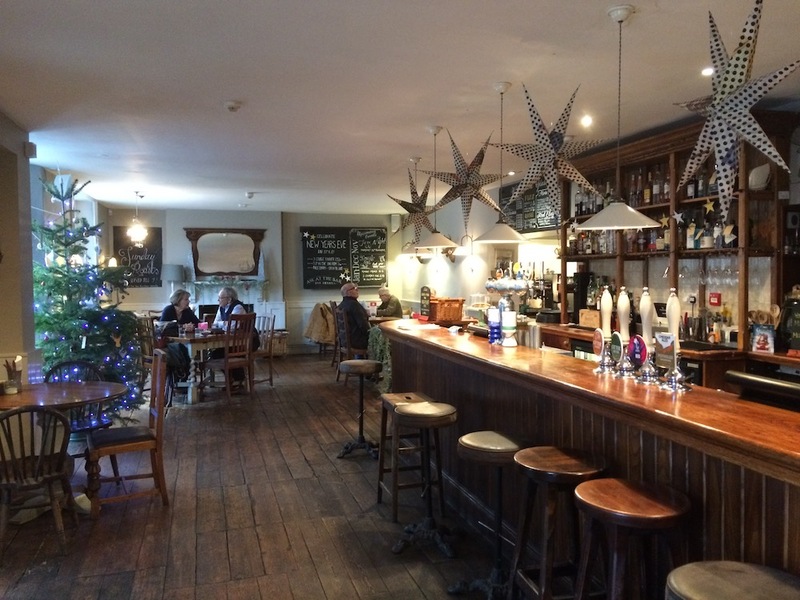 Gastropub The Swan in Wedmore is always a cosy place (wood-burning stove, leather club chairs, loads of cushions, etc) and it’s looking very festive at the mo, with Scandi stars, concertina decorations and wreaths wittily decorated with knives and forks. Puts you right in the mood for a Christmassy meal – and lo and behold, they’ve just launched their Christmas menu, created by head chef Tom Blake, previously of the River Cottage. Bring it on! 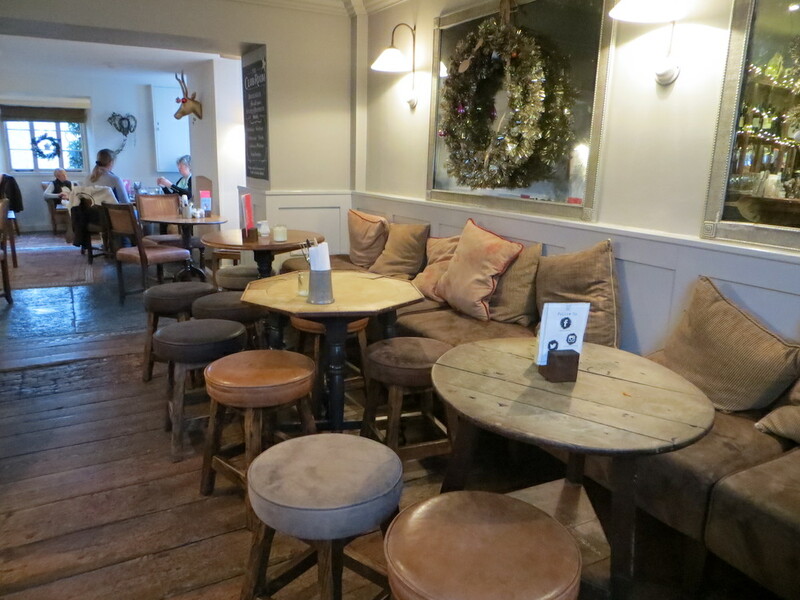 … or in the bar area which stretches across the width of the pub and down to the side, and where you’ll find those club chairs, stove and little corners to huddle. The Christmas menu comes as a set two- or three-courser. There’s a choice of three starters, including this very pretty beetroot cured salmon, with chunks of pickled beetroot, watercress and little dollops of dill and a yoghurt dressing – and some little black seeds (? sesame? onion? nigella? forgot to ask) strewn across the top. 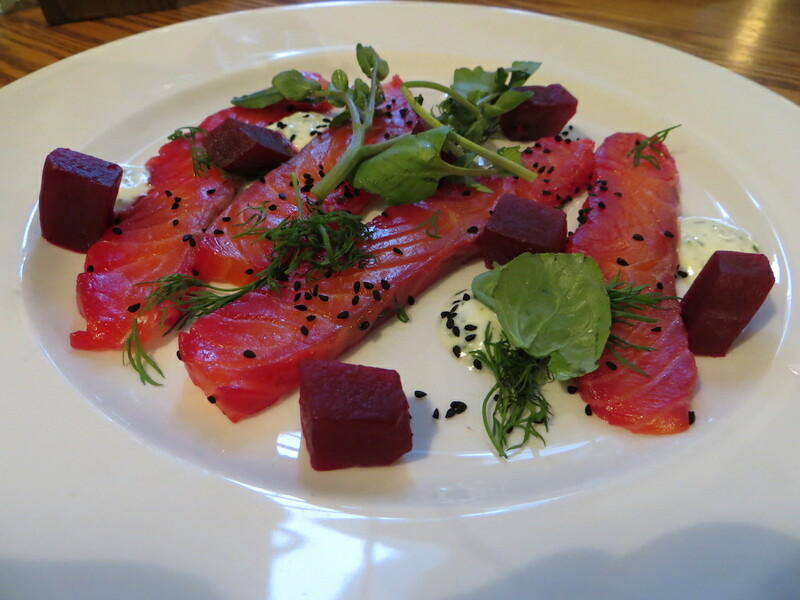 The sweet tangy pickled beetroot was the perfect foil for the thick slices of delicious salmon (and loving the colour of the salmon – almost cerise). 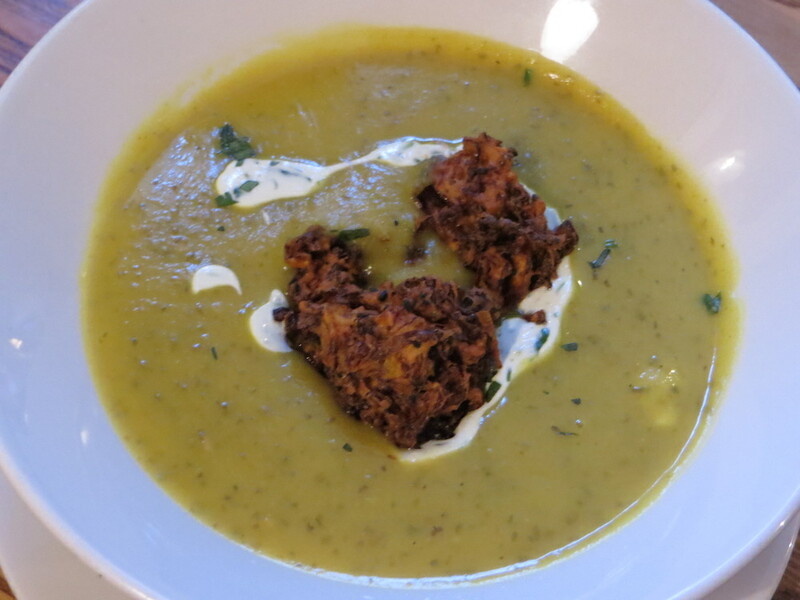 Combining trad Brit Christmas veg with Indian flavours, the spiced parnsip and lentil soup was thick and hearty, with a definite kick, and came with the inspired addition of crispy bahjis – brussel sprout, not onion, it being Christmas an’ all – coriander and creme friache. The starter that got away was a home-cured bresaola, with rocket, ewe’s cheese, honey and pumpkin seeds. There were four mains. Could have had the free-range turkey stuffed with mushroom, truffle and cranberry and served with roasties, crispy smoked ham hock and honey roasted parsnips. Or the spinach, ricotta and mushroom arancini with pumpkin caponata, fregola, olives and sage. 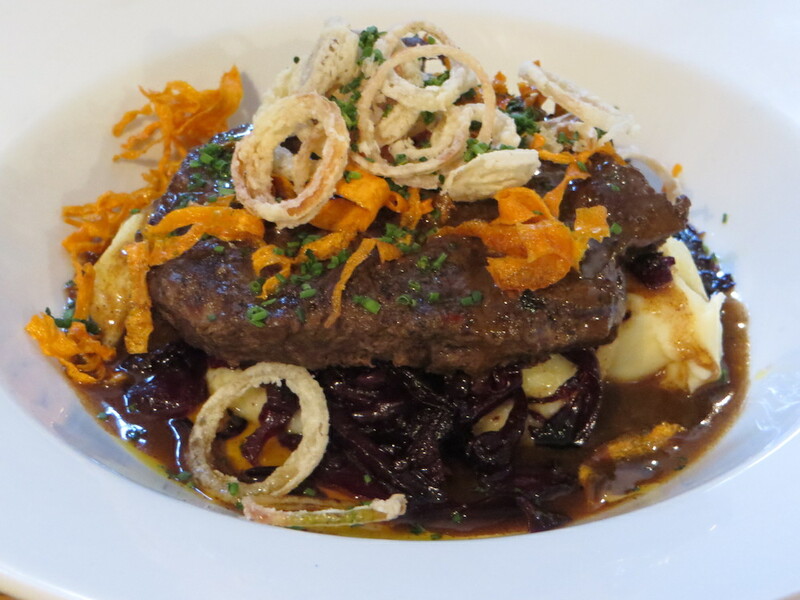 Instead, we had spiced feather blade of beef, sitting on a mound of mash and spicy braised red cabbage and rich gravy. I’d never heard of a feather blade cut before but it’s from the shoulder and when it’s cooked long and slow (as here), it’s delicious and soft – and a great contrast to the ever so crunchy carrots slivers and shallot rings piled on top. 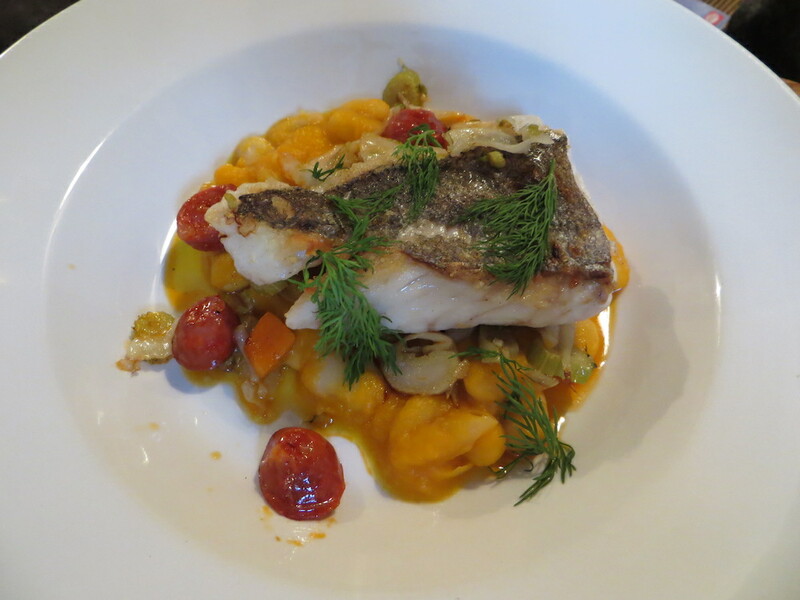 The Cornish hake fillet came perfectly cooked, with a crisped skin and on a bed of subtly flavoured butter beans, squash puree and caramalised fennel. Sweet, peppery chorizo goes brilliantly well with the delicately flavoured fish. And so onto desserts: we passed on the Christmas bread and butter pudding with clotted cream ice cream and brandy butter sauce (don’t ask why, it sounds yummy), in favour of this cherry and chocolate tart, with a slice of honeycomb and dollop of Ivy House thick cream. 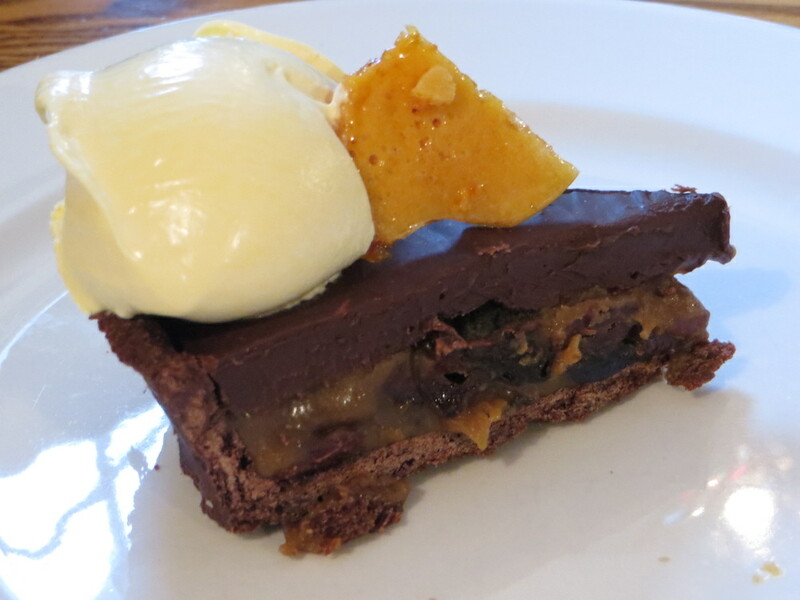 The richness of the chocolate tart was saved from being supersickly by the large, slightly tart, cherries in caramel inside. 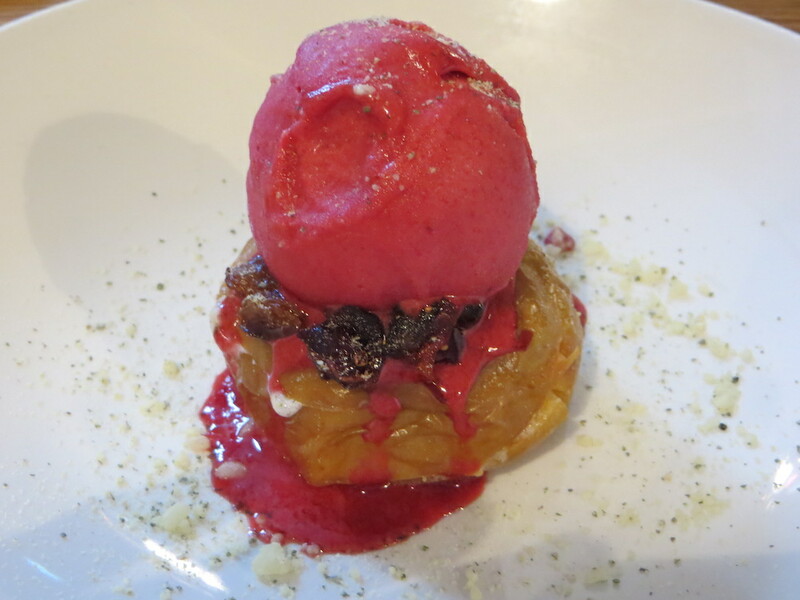 This is the Swan’s version of the traditional baked apple: packed with sultanas, a huge scoop of refreshing cherry sorbet (cherries are IN) and drizzled with honey and crushed pumpkin seed praline. Oh yes! Combine lunch with a walk on the nearby Avalon marshes with chances to see the wetland wildlife, including the famous starling murmurations at dusk (it also takes place at dawn but we both know you won’t make that). Here’s a moderate 4.5 mile (7 km) circular walk that starts in Wedmore goes across Aller Moor and returns via Sand. Wedmore has some interesting independent shops if you fancy a browse. Glastonbury and Wells are about 20 minutes away. Good for: A Christmas get together where you’ll eat stonking good nosh with a friend or two or a group of almost any size – whether they’re meat eaters, veggies, pescatarians or vegan (you’ll need to specify the latter when you book). Most of the dishes on the Christmas menu are also gluten-free. 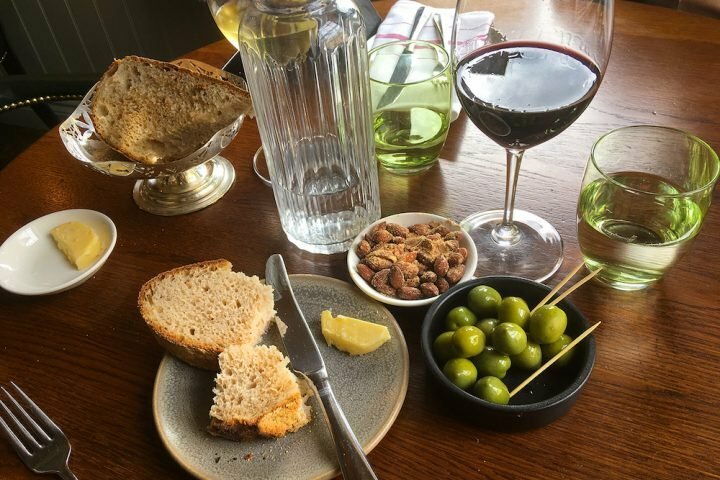 You can pre-order the food and the wine – the list isn’t huge but it’s diverse with lots of bottles from artisan wine makers. Not for: those who like their dining tables covered in starched white tablecloths. This is casual dining (though they do have proper linen table napkins in the restaurant section of The Swan). The damage: Good value: £29.50 for three courses; £25 for two. The Christmas set menus are available until Sun 24 Dec, after which the individual dishes will be on the a la carte menu until Mon 1 Jan 2018. 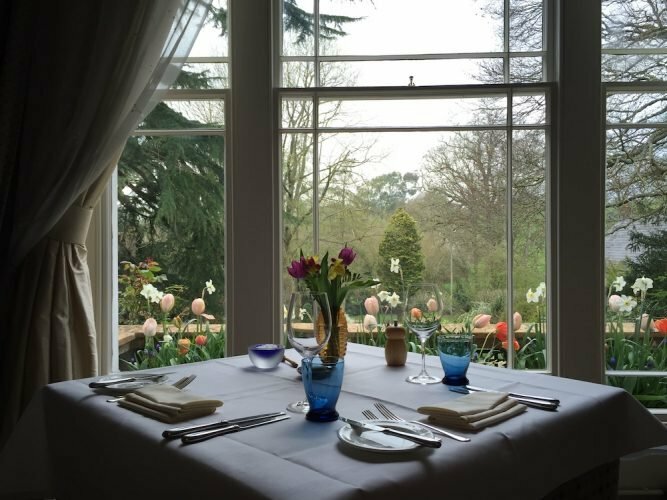 Lunch served from 12pm–3pm; dinner served from 6pm–9.45pm. Free parking through the archway to the right of the main entrance to The Swan. 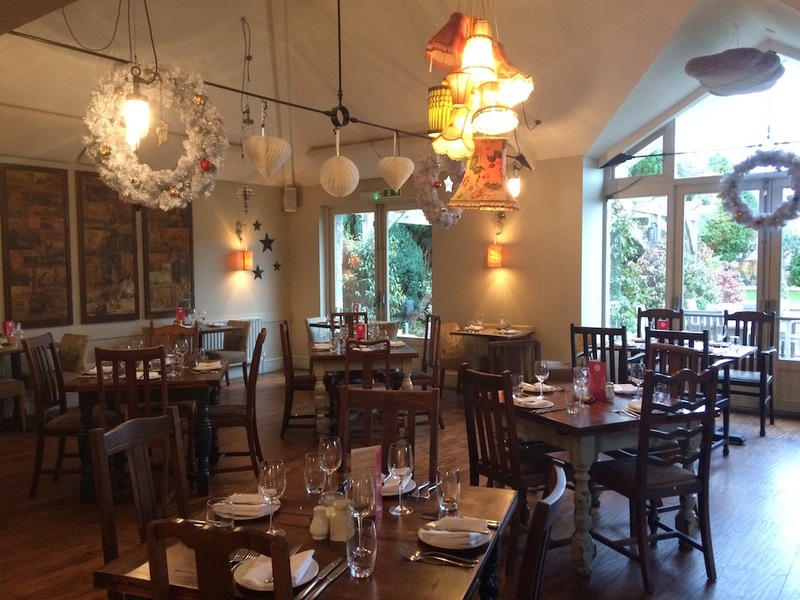 You can book a table online for up to 10 people; for larger groups, give them call. It’s on my list to book for lunch in 2018, with my children, as it’s accommodates vegan diners (my son).